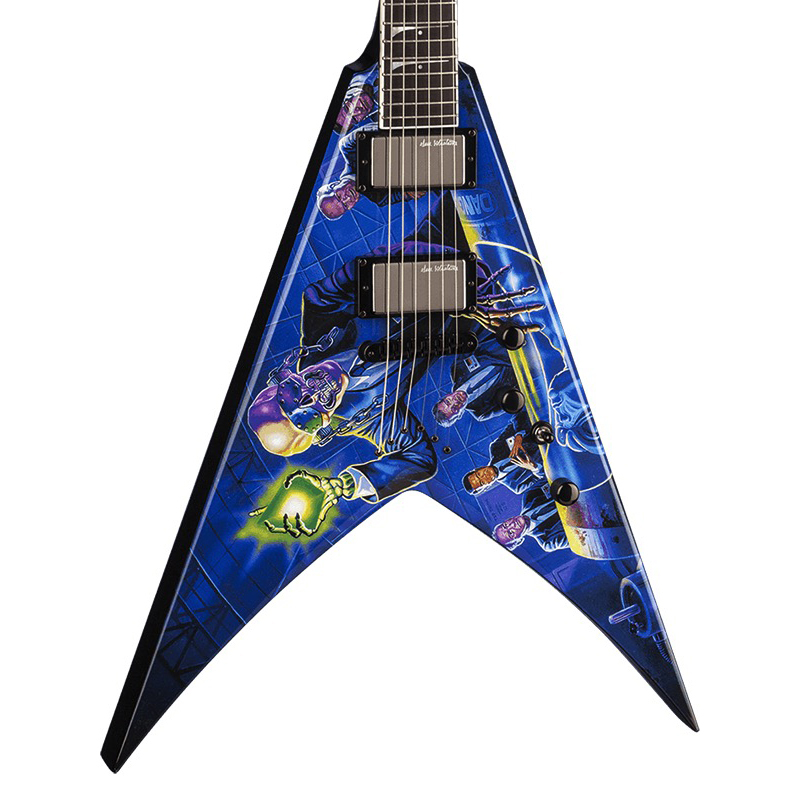 The Dean Dave Mustaine VMNT Rust In Peace Electric Guitar was masterminded by Dave Mustaine in conjunction with Dean's master guitar builders. 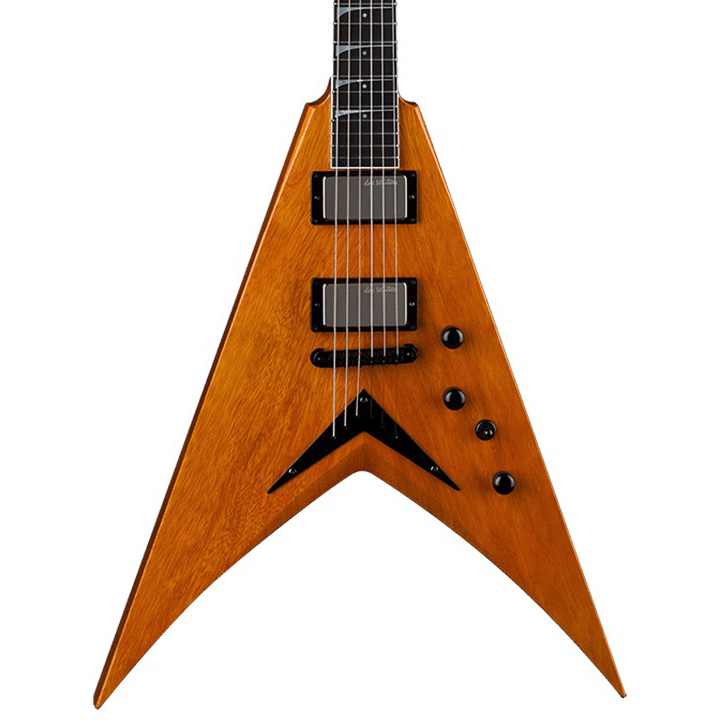 The body has the classic VMNT shape and is made of mahogany with a set mahogany neck spec'd by Dave himself. Other "Rust In Peace" features include a 25-1/2" scale length, ebony fingerboard, tune-o-matic bridge and a headstock with mini-grover tuners. 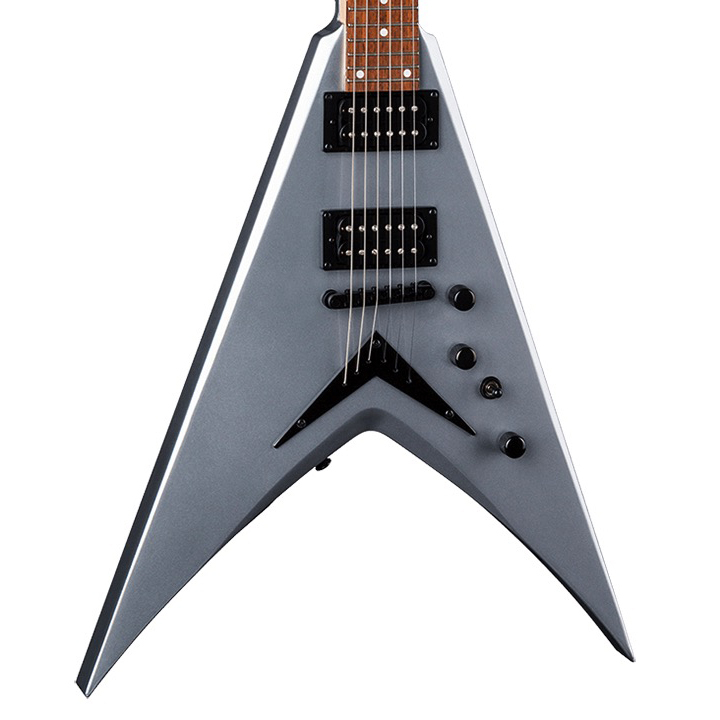 Seymour Duncan Dave Mustaine Live Wire active humbucker pickups and the guitar's string-through-the-body design produce outstanding sustain. 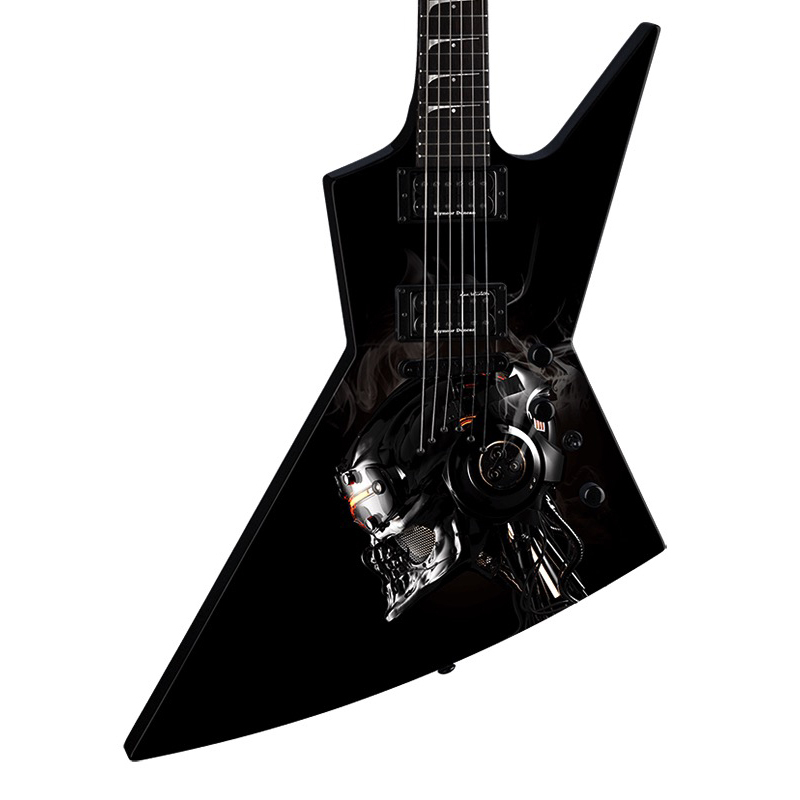 The dual volume, single tone, and 3-way switch is the control configuration that Dave prefers. 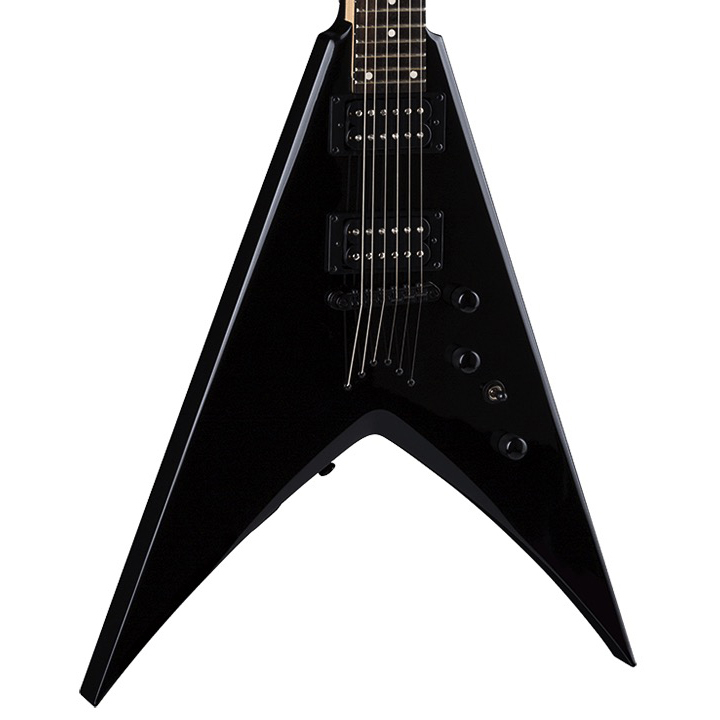 This eye-catching Dean Dave Mustaine V reflects the spirit of one of rock's hardest hitting guitar slingers.